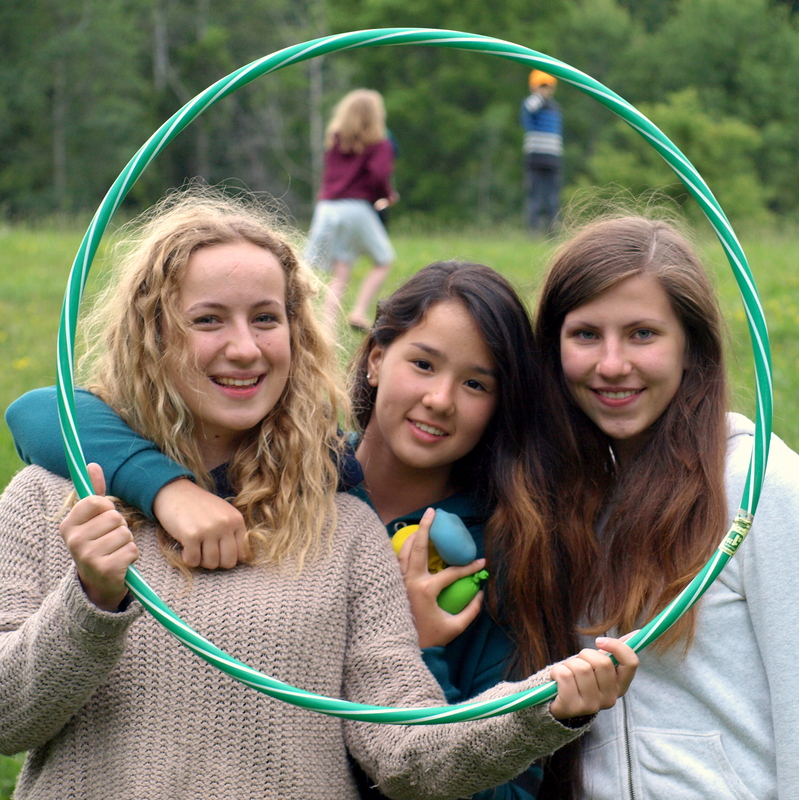 Circle R Ranch overnight camp provides an opportunity for personal growth and development. Living in a community setting offers campers a physically and emotionally safe venue for developing life-long friendships, a strong sense of belonging and increased self-esteem. Campers gain independence, learn about responsibility, and come to understand how their own actions can impact other people. Overnight campers enjoy the wide variety of programs available at Circle R Ranch. 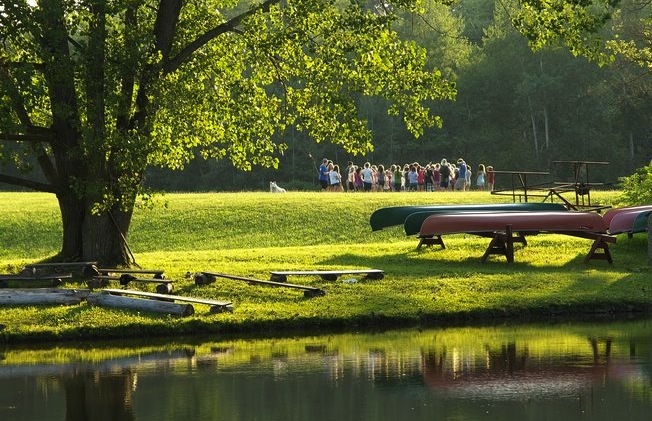 Additionally, overnight trips on our 220 acre site, evening programs such as all-camp wide games, individual choice interest sessions, campfires, skit nights. Overnight campers can earn a variety of awards, including the Animal Care Award, Archery levels, and Master Kayaker! Campers are placed in groups of eight according to age and grade and have their own counsellors who live with them. The overall ratio of campers to staff in overnight camp is 2:1. 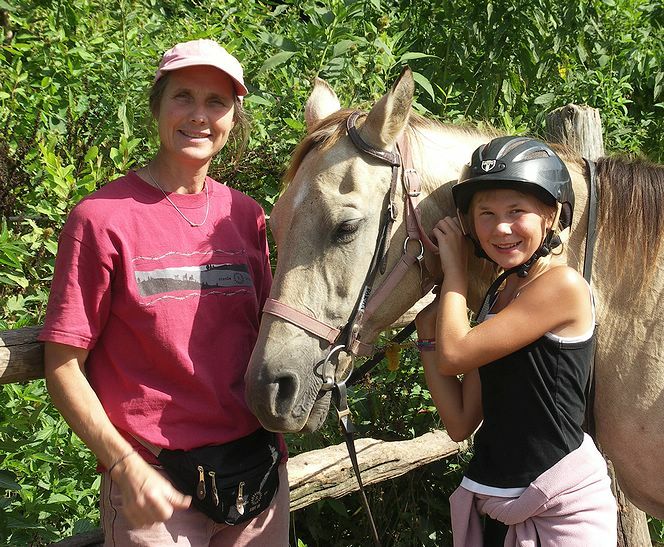 Overnight campers ride every day, morning or afternoon, with options for additional horsemanship sessions. Circle R has created a progressive riding levels awards system, whereby campers are encouraged to challenge themselves and increase their skills and knowledge. 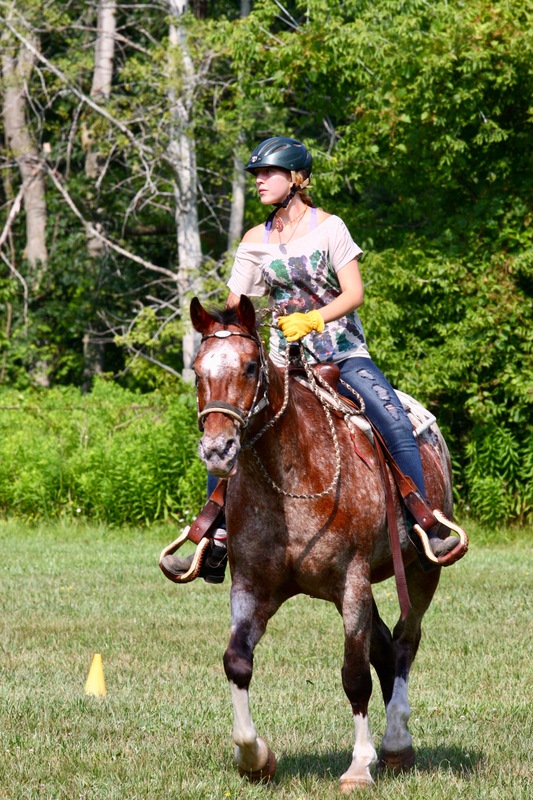 New campers who have little or no riding experience as well as returning campers have appropriate opportunities to build upon their skills and past experiences. Circle R Ranch facilities include a spacious, two-story main lodge, newly renovated showers and bathrooms, a crafts centre, horse corrals, and a number of smaller buildings. Outdoor program areas are located in the woods and fields throughout the site, including our very own spring-fed pond for boating and swimming. We serve three well balanced family-style meals each day, including vegetarian alternatives, with a snack before bedtime. A salad bar or breakfast buffet table is offered at every meal, with fresh fruit, milk, juice and other nutritious items. Campers live with their group and counsellors in large canvas tents set on wooden floors. Tent areas are nestled comfortably in the woods. Living with friends in natural settings provides campers with memories that last a lifetime. Overnight camp has a 2:1 camper to staff ration. Every Circle R Ranch staff member is passionate and dedicated to each camper’s well-being and enjoyment. Most counsellors have grown up attending camp here, offering first-hand knowledge and experience. Proud of our ‘Circle R family’, the welcoming, friendly environment offers a chance for every camper to feel at home. All Circle R lifeguards are fully certified and have designed a great program of fun activities and games along with early morning and free time aqua-fit sessions for all our campers no matter what their swimming ability.